One of the trickiest things about managing a fleet is managing to find time to catch up on all the industry news and one of the trickiest things about industry news is that there is just so much of it. However hard we try to keep track of all the news from around the world (or just in the UK) that might be relevant to managing vehicles, there’s never quite enough time. The information just keeps on coming, and articles we bookmarked to read a few days ago drift down the time-stream into a few weeks ago and then a few months ago, and then they’re too far out of date to be useful to anyone. Whereas we used to find time (or at least make time) to read the news more thoroughly, modern life and work just seems to constantly get in the way. As we mentioned in a previous blog post, technology doesn’t always help. For instance, if we type “fleet management news” into Google it throws up over 13,000 search results for that phrase. And even if you didn’t have a fleet of vehicles to manage, do you really want to spend even more time browsing the vast reaches of the Internet – sifting out the old (and often very old) from the new news? So what’s the answer? Well, you can subscribe to the most popular fleet news sources. These specialise in sourcing the main fleet stories and articles, and by browsing the mainstream channels you can be sure to catch most of the important stuff. The thing is, you’ll still be missing a few crucial news stories each month which you might need to know. That’s why Fleet Matters was created, to catch the fleet stories at the edges of the mainstream news. Each issue contains important news that may have escaped your notice, because either the dedicated fleet publications overlooked an angle or simply missed the relevance of that story altogether. For example, the latest edition of Fleet News includes a piece on possible longer hours for truck drivers if we leave the EU. Not your typical Brexit news story, and not widely covered in the mainstream media, but it could help local hauliers. Fleet Matters goes beyond highlighting the stories you may have missed. It explains briefly why each news article is important, then provides succinct guidance on what you should do about each topic. Some need immediate action. Others alert you to an issue to monitor. Sometimes, there’ll be a reminder of something you already know, but might be taking for granted. 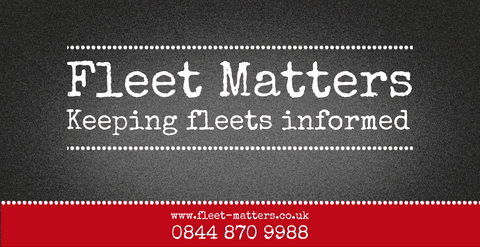 With five key topics in each edition, for free, Fleet Matters is one news source to read and file.